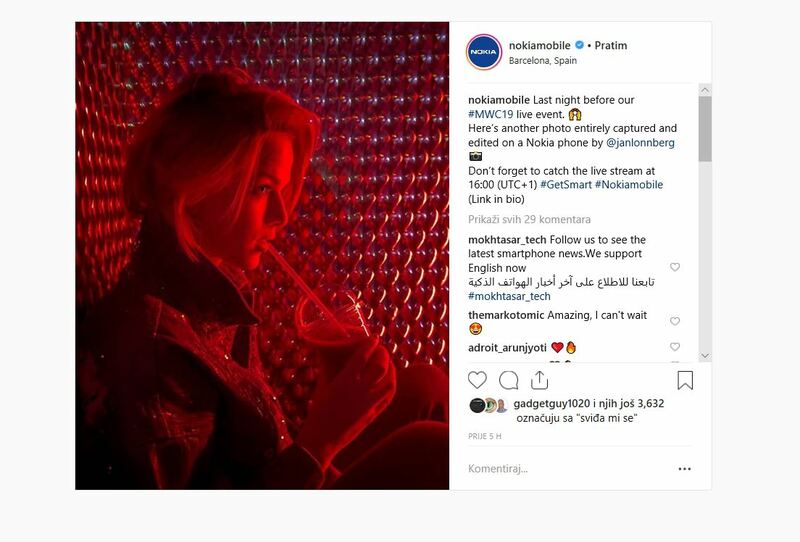 Today, HMD’s CPO Juho Sarvikas pointed out on Twitter that a second “photo from a Nokia phone” was posted on Instagram, this time made by photographer Jan Lönnberg (@janlonnberg). The photo shows a girl drinking some drink in red light. Just like the first photo, this one looks solid as well. The two photos posted on Instagram can be interpreted as teasers for the Nokia 9 PureView, that should finally be announced tomorrow. The 9 PureView is rumored to feature a penta-lens camera setup that should give Nokia 9 the edge over the competition on the market. Nokia Mobile’s event starts at 16.00h local time (CET) on 24th February.